The 20th Summit of EAC Heads of State was finally held in Arusha-Tanzania on February 1 after its postponement for two times respectively on 30 November and 27 December 2018. Burundian politicians, however, diverge on the summit outcomes. Tatien Sibomana, spokesperson for the coalition of independent “Amizero y’Abarundi”, appreciates the report presented by the facilitator in the inter-Burundian dialogue which reflected different views submitted by Burundian politicians. He also says the facilitator William Benjamin Mkapa has suggested solutions to overcome the Burundi crisis. 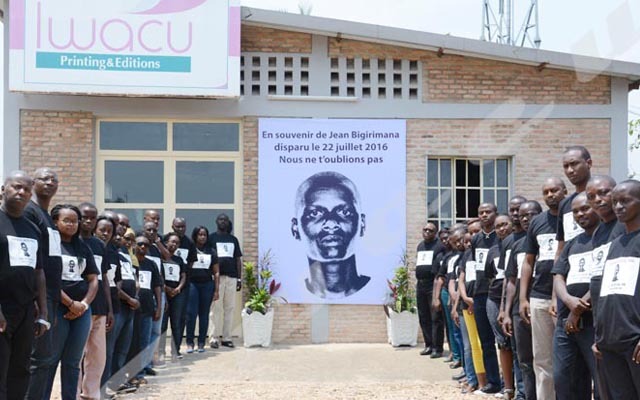 Tatien Sibomana, however, doesn’t appreciate the fact that participants at the summit didn’t say anything about the Burundi crisis that erupted in 2015. “We thought participants would discuss the current problem in Burundi and would suggest the best way to tackle it as they have appreciated the efforts made by the facilitator”, he says adding that he thinks that the Burundi Mediator President Yoweri Museveni will now have sufficient time to deal with the Burundi crisis. Uganda President Yoweri Museveni is no longer chairperson for the EAC. He has been replaced by the Rwanda President Paul Kagame. Mr. Sibomana believes that the EAC Heads of State will not accept to fail as the International community appointed the regional community to find solutions to the Burundi crisis. “We will continue to call on the Heads of State to find solutions instead of letting perpetrators to continue disturbing the country”, he says. As for Keffa Nibizi, chairman of FRODEBU Nyakuri, the conflict between Burundi and Rwanda hasn’t been raised during the summit and continue to slow down the economic growth between both countries. “The free movement of goods and people is not also ensured while the regional community has the mission to find solutions to the existing issues among EAC partner states,” he says. Mr. Nibizi also appreciates the result of the 20th Summit of the EAC Heads of State even if the participants didn’t analyze the conflict that exists between Burundi and Rwanda. He, however, says all Burundians should contribute to the finding of solutions to the existing problems as it is done in other countries. “We should not condemn the EAC Heads of State for what Burundians should handle themselves”, he says. When Gaston Sindimwo , First Deputy President came from Arusha where the 20th Summit of EAC Heads of State was held, he said the report presented by Facilitator William Mkapa seriously accused Burundi government. He also said the facilitator reported that the 5th round of the talks which is not recognized by Burundi government was conducted. “The 5th round is not yet organized and we are still preparing for it”, he said. Gaston Sindimwo also said the conflict between Burundi and Rwanda has not been raised and expects that the issue will find solutions very soon. “Burundi President has required an extra-ordinary summit over the issue. It is not good that Burundians and Rwandans should not move freely inside the two countries”, he says.